Over the course of the last 500 years of European colonial oppression, persons throughout the Caribbean have taken up arms, or more recently, placards, against unjust and inhumane policies. History records rebellions in islands such as, but not limited to; Jamaica, Haiti and yes, the Virgin Islands. Without a doubt, the most successful rebellion against European Tyranny took place between the years 1791-1804. In the then French colony of Saint Domingue, thousands of our African relatives decided that they simply were no longer going to be shackled and beaten by plantation owners. In coordinated actions they burned hundreds of plantations to the ground and exacted revenge upon those who had brutalized them for centuries. Not only did they burn plantations, but they organized themselves as a disciplined military force led by the legendary Toussaint l’Overture. Within 13 years this army of Africans defeated Napoleon’s forces, then considered to be one of the best armies in the world. This eventually led to Haiti becoming the first free Black republic in the western hemisphere. On Christmas Day 1831, in the largest English Caribbean colony of Jamaica, a rebellion was staged to protest the brutal conditions of enslaved Africans on plantations. Led by Baptist preacher Samuel [Sam] Sharpe, as many as 60,000 or 20 percent of enslaved Africans were mobilized against the British. Starting with work stoppage on plantations and culminating in armed resistance against the British Army. Samuel “Sam” Sharpe is now one of Jamaica’s 7 National Heroes. Closer to home in the Virgin Islands, there was yet another rebellion. In October 1878, roughly 50 plantations, sugar mills and sugar fields on St Croix were burnt to the ground in what was to be labelled as the ‘Fireburn’. 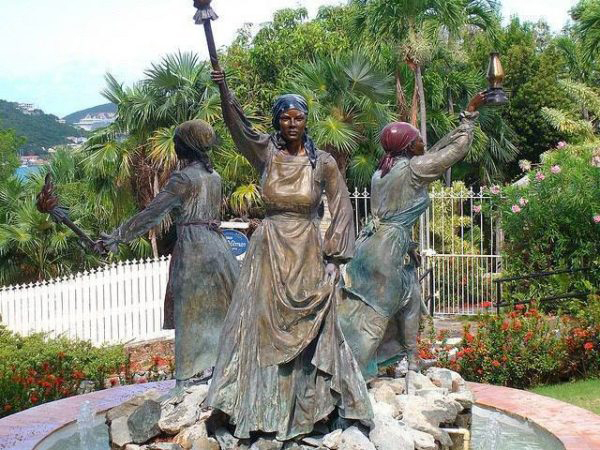 Three of our ancestors; Axeline Salomon, Mathilda Mcbean and Mary Thomas were the architects of those historic actions. Most folks hail them as our very own Virgin Island Queens. In July 2014, the then British Governor of Bermuda George Fergusson, took it upon himself to block a decision made by the democratically elected parliament of Bermuda to create a Commission of Inquiry [COI] about historic land thefts. 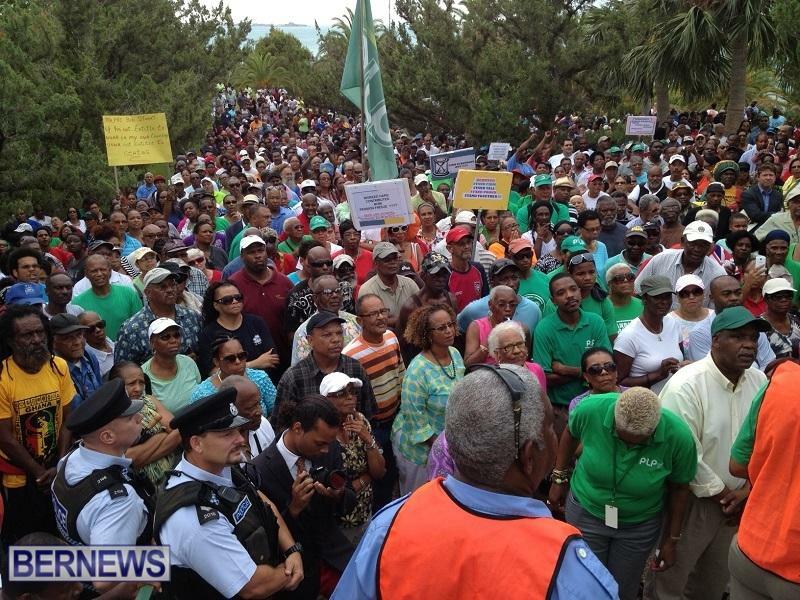 Within one week, the then Opposition, the Progressive Labour Party led by Honourable Marc Bean, mobilized 2,000 Bermudians to march on Government House to demand the recall of the Governor. On Thursday May 24, 2018, thousands upon thousands of residents of the British Virgin Islands gathered in Road Town, Tortola to march from the House of Assembly onto the grounds of Government House, which is the direct representation of Colonial rule in the B.V.I. They protested not to burn down cane field or sugar mills, but to stand up for their rights to economic survival which is being threatened by recent actions of the British Parliament. In the year 2018, we in the British Caribbean, face; unfair, unjust and unequal demands from the British Parliament. Yes, the very same Parliament that turned a blind eye to the sufferations of millions of our ancestors, spread throughout the Caribbean for centuries. 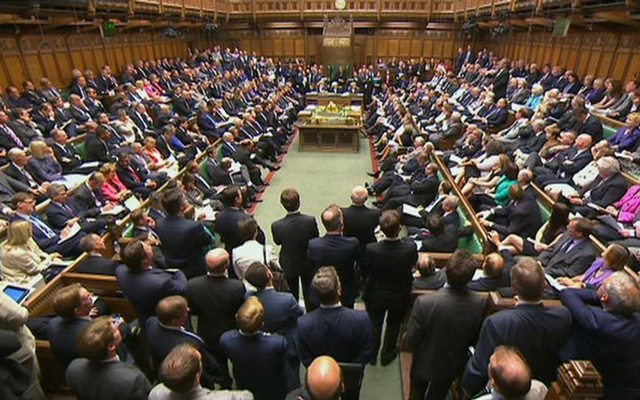 That very same Parliament that allowed the enrichment of the British Empire on the backs and spilt blood of our forefathers and foremothers. Does it come as any surprise to anyone that once again the British Parliament is advocating the further enrichment of those in; Jersey, Guernsey, Isle of Man and ironically, the City of London, by economically suffocating the Caribbean islands of; Bermuda, BVI and Cayman Islands. The key difference between the British Crown Dependencies and the British Overseas Dependant Territories would be that the populations of the Caribbean are the descendants of those enslaved Africans. So, as it is clear our backs are against the wall, we must act beyond calling talk shows and or writing on blogs. To those in the British Overseas Dependent Territories aka British Colonies, we must, just as those in; Jamaica, Haiti and Virgin Islands, show that we will not bend over. We will; stand up, unite and work together as we clearly only have each other to depend on. Famous. You should be ashamed. No its not. The difference is the manner in which the Constitutions of the Crown Dependencies and OTs are structured in terms of the relations of the UK. If it was based on racism then why is Gibraltar been captured by these demands? Secondly, is Christoper Famous insinuating, with that comment above, that only people of African descent are the only ‘real’ Bermudians? Of course he is. its what hes paid to do. Its all he can do really. This piece is utter trash. Independence = disaster, I think only the blind don’t see that. More disgusting racial divisive politics from this guy. Why does he still get to run this drivel? Stand up and fight against the fascist PLP race baiting and divisive politics that allow them to abuse our country with no repercussions! Famous is famously wrong again. The islands of Bermuda were not founded by African slaves. They were founded by accident when the Sea Venture grounded on the reefs. Slaves were brought here over the centuries. It actually does not really matter since slavery was always wrong but rewriting history does not help the flawed argument. I find it interesting and concerning that Famous compares Haiti’s experience to that of a rent-a-crowd calling out against the Governor about land grabs. The PLP was in power for 14 years and did not do a commission of inquiry. They are in power now and the Premier could call for a commission on inquiry but won’t. This was all smoke and mirrors to destablise a legitimately elected government of the day. Famous should be careful and not try and tie Bermuda in with places like Haiti and Jamaica. One Jamaican dollar is worth about 0.0079 dollar or $126 JMD is worth 1 USD and the Haitian Gourde is worth 1.5 cents or 64.32 HTG is worth 1 USD. So Mr Famous is this what we in Bermuda should aspire to when you say “that we will not bend over. We will; stand up, unite and work together as we clearly only have each other to depend on. ?” Bermudians don’t like Jamacians being here but if you want to help them you should open up our borders to unite the islands and let the Haitians in too. For what tho…whats d endgame? Another piece of evidence proving that this government sees itself as ONLY representing one racial group in this country. They could not give a damn about anybody else. None of the rest of the country counts at all. They are a right-wing fascist regime. Last time I looked at a map, Bermuda was not in the Caribbean. But it may have shifted with global warming. No Mr. Famous, the majority of your ancestors did not “slave” for Bermuda but came here looking for a better standard of living than where they came from, the exact same reason my English ancestors came which makes me as much a “Bermudian” as you are. Wait a second. You’re seriously suggesting that slaves taken from Africa who are the ancestors of black people living in this part of the world today, “came here looking for a better standard of living”? What in the world of Kanye West is this? He means his family emigrated from the West Indies to Bermuda. It’s all for the drama and hyperbole . I wonder if he’ll address the fact that since the 1800′s Haiti has received more in financial aid than any other place on the planet and why it hasn’t made one iota of difference ? Perpetual and heavy debt among other issues have hindered any chance for Haiti to climb out of the abyss. Haiti’s chronic status as the Western hemisphere’s poorest nation is due to a litany of afflictions that range from widespread illiteracy, to endemic corruption, to woefully inadequate infrastructure. But while these would be hard enough for any country to overcome, for more than a century of its existence Haiti carried an additional but little-known millstone, the effects of which are still being felt. By complying with an ultimatum that amounted to extortion, Haiti gained immunity from French military invasion, relief from political and economic isolation – and a crippling debt that took 122 years to pay off. My father-in-law still recalls the patriotic song he was taught as a Haitian schoolboy, its poignant lyrics urging all Haitians to reach into their own pockets to help their government raise the amount that was still “owed” to France. Thanks to voluntary contributions from Haiti’s citizens, most of whom were desperately poor, that debt was finally settled in 1947. But decades of making regular payments had rendered the Haitian government chronically insolvent, helping to create a pervasive climate of instability from which the country still hasn’t recovered. France’s demand for reparations from Haiti seems comically outrageous today – equivalent to a kidnapper suing his escaped hostage for the cost of fixing a window that had been broken during the escape. And though the present French government can’t be blamed for the gall of King Charles X (France’s ruler in 1825), a modicum of historical accountability sure would be nice. While France still ranks among the world’s wealthiest nations, Haiti – with a per-capita annual income of $350, a power grid that fails on a regular basis and a network of roads that’s more than 50-percent unpaved – is plagued by drought, food shortages and a struggling economy. For the “crime” of shaking off the yoke of involuntary servitude, Haiti dutifully paid France reparations over the course of nearly six generations – with interest. France should now do the right thing and return those payments, estimated to total $21 billion in today’s dollars. What would be a relative pittance in the French national budget is desperately needed by Haiti and could help it begin a broad-based recovery that would seem like manna from heaven to its long-suffering people. Dan Sperling for Forbes. There were close to 500 in the march on Thursday to Tortola’s Governor’s House and approximately a 1000 (estimated)at its concluding rally, it appeared. The vast majority thought they were marching to protest the UK Parliament’s decision enforcing upon the the OT’s open company registers by the close of 2020 – until the speeches started when it, and they, were “hijacked” to listen to an entirely different agenda, vocalized by Mr. Pickering (above)who only month’s ago was lauding the UK’s response to Irma. It appears the general feeling here is that the majority of BVI voters would agree with Vortex above and would not support complete independence from the UK, however misguided their Parliament’s recent decision was. The BVI’s financial services will not “die” because of this vote – they are too good for that! Which house in Tucker’s Town do you have your eye on for the requisition Chris? MP Chris Famous is a disservice to Bermuda and the PLP, but is probably part of the splinter group waiting to remove Premier Burt. I suggest he reads and takes note of the Opinion piece penned by Karim Clearly above. A much more reasoned and written piece and not full of Mr Famous’ political and racial bias. Is famous taking up the hate mantle? Mr Famous clearly needs a lesson in Bermuda history. Should have heard the crap he said as a speaker at a graduation 2 weeks ago! Clueless this guy is. Chris Famous needs to step out of politics. Go away Famous, you’re racial hatred is not wanted on MY island home!! Mr famous this article is about what Bob Marley said brain wash education to make us the fool and he also said something else free yourself of mental slavery. Haiti also got blackballed by France and the US which really put the newly independent country in a deep hole. A very nice history lesson. Now where is your outrage about the freedoms that have been taken from Bermudians by the PLP government in the last 12 months? Christopher Famous you really need to focus on solutions as the past is there to help us do better not sit on it like we are helpless. So tired of your relentless biased racism. PLP wants South Africa for Bermuda even though it is not their land, British found it and settled here. Period. End of story. My descendants landed here 400 years ago thank you with other British. All you people claiming this island as your own are full of hot air and pride. How dare Famous bring up an atrocious article like this to divide the public. Many people were enslaved in Bermuda and whites were the first slaves thank you. About time the PLP recognized that instead of pretending it was only them. You need to know your history. First of all whites were never enslaved in Bermuda. Yes, they were indentured servants and their lives could be hard, but after a period of time (7 to 10 years) they could move on with their lives. And please don’t tell me about the Irish slaves. There is also a lot if misinformation out there. Historians say the idea of Irish slavery is not true and is based on a misreading of history and that the distortion is politically motivated. Far-right memes have taken off online and are used as racist barbs against African Americans. “The Irish were slaves too,” the memes often say. In 1612 The Charter of the Virginia Company is extended granting it control of Bermuda. Bermuda becomes a settlor colony. By 1616 The first non-whites brought to the colony were a person of African descent and a native American from the West Indies to dive for pearls, recent research is stating that these were enslaved people. You are talking about 4 years difference between whites and blacks arriving in Bermuda. Congratulations on being a descendant of the early Bermudians, you are an indigenous white Bermudian who can trace their ancestry. Just like the thousands of black Bermudians who can trace their ancestry back. So what is the point of your racist tirade, because that’s what it is hiding behind your words. Whites were here first, we’re ‘entitled’. If it wasn’t for political correctness I can only imagine what you really want to say. And that goes for a lot of other posts on this article. For those who see an article like this focused on Black History as one that has a racial agenda… then you will understand that for the previous 400 years there was a distinctly racial agenda in place, where history was presented and taught solely from a white, colonial perspective and laws were passed for the empowerment of one group and the oppression of another group. Those laws were White Affirmative Action, laws to ensure power remained in the hands of a colonial white supremacist society for hundreds of years. Those who write such disparaging remarks about this history, about this man, who deflect, deny, detract and dismiss another’s point of view and opinion with such paternalistic, dismissive, coded words in an attempt to hide their own racist opinions, should take a long hard look at themselves because their hatred and animosity is plain for everyone to see, and we see that it is not directed at someone who looks like them. And before anyone says there is no such thing as an indigenous Bermudian… The Maori are the indigenous people of New Zealand but the first of them only arrived just over 750 years ago. The U.N. states that indigenous people include those that have a historical continuity that developed on their territories. There is no time limit. So Bermudians… those who can trace themselves back a number of generations are indigenous, both black and white. Hi Lynne, I appreciate all the work you do. I would also appreciate if you researched Irish History a little more especially it’s relationship with the Caribbean. I understand how the far right might be using it for their own agenda but it should be by no means just swept aside. Alot can be learned from all histories of injustice. By your definition white, black, Asian, and people from the Azores and Portugal are all indigenous. Black people hold no special claim to the label. When Famous says “the populations of the Caribbean are the descendants of those enslaved Africans”, quite apart from the fact that he erroneously implies we are in the Caribbean (which we are not) Famous is selectively and deliberately leaving out all the other indigenous people of Bermuda. The act of a right-wing racist, right? Famous, your backs are not against the wall in the slightest. You have a completely black government with a 2/3 majority. You can make any change you want. So instead of racially divisive rubbish why don’t you get on with it? Trump will be responsible for much turmoil in America. Christopher will be the demise of Bermuda. The demise of Bermuda started several years ago. It is not out of control yet but could be soon. We are approaching the tipping point. We could still reverse things at this point but not for much longer. A truly bizarre mix of botched rhetoric and disingenuous rabble rousing. Taking a very important issue for Bermuda and throwing it in the gutter of racial divisiveness. The issue at hand has literally zero to do with former Colonial wrongdoings and everything to do with the desire to take a larger portion of the Corporate tax pie by large nations such as Britain, France and Germany from smaller nations such as Bermuda, Ireland and the Netherlands. Is Mr. Famous even Bermudian? He needs a lesson in history and geography! You just don’t get to make stuff up to suit your situation. I’d like to add to Mr. Famous list of accurate reflections of uprisings in various parts of the Caribbean by adding one that occurred in Bermuda 30 years before the Haitian Revolution. In 1761 a Slave Conspiracy is uncovered. Over half of the Black population laid plans for a bid for freedom and to kill their slave masters. Six slaves executed, including one female. The Legislature reacted by banning all Black festivities including Gombey dancing. 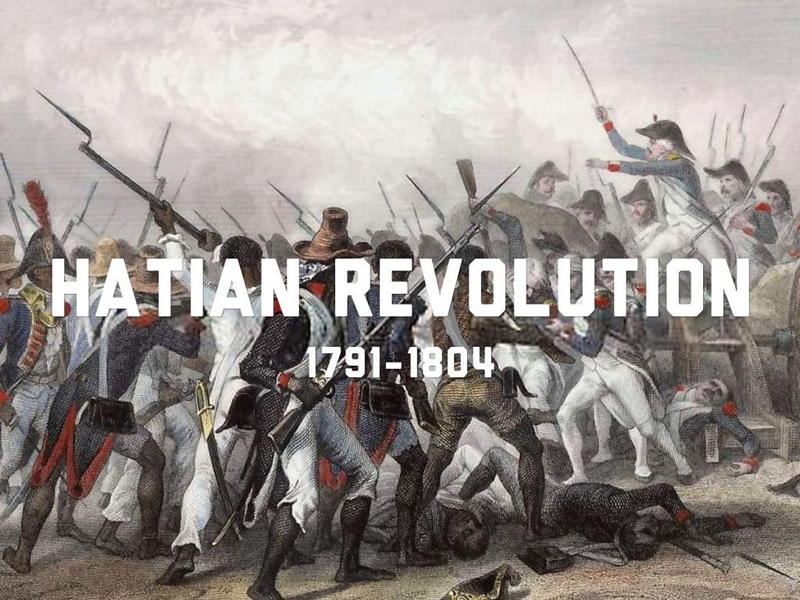 [This took place 30 years before the Haitian Revolution]. Following this slave conspiracy, the Council and Assembly enacted legislation to banish all free Negroes and mulattoes from Bermuda. Those who did not leave to be sold. (James Smith pg71 Slavery in Bermuda). There is no list of accurate reflections. You’re simply making stuff up to support your bigoted agenda. Interesting, but not surprising comments. Fairly amazing the reaction when someone says that Caribbean people and islands should work together for economic survival. Most of us are not European, yet we have English names. Most of us were never born in Great Britain, yet we are British Subjects. Yet people still think warmly about the UK which has just proven that they are prepared to attempt to dictate to those who do not live in the UK. similar to the “warmth” felt by Bermudians, at the hands of the plp, who feel it is their duty to dictate how others should live their lives. shows how immature, racist, homophobic and bigoted the majority population is, in Bermuda.